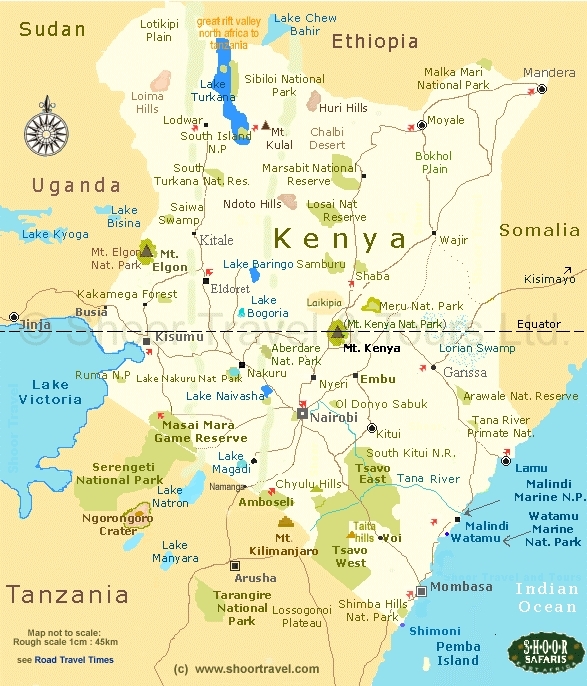 Kenya is located along the Equator on the northeastern coastline of Africa, between Tanzania to the south and Somalia to the northeast. Kenya is also bordered by Uganda on the west, Ethiopia on the north, and Sudan on the northwest. 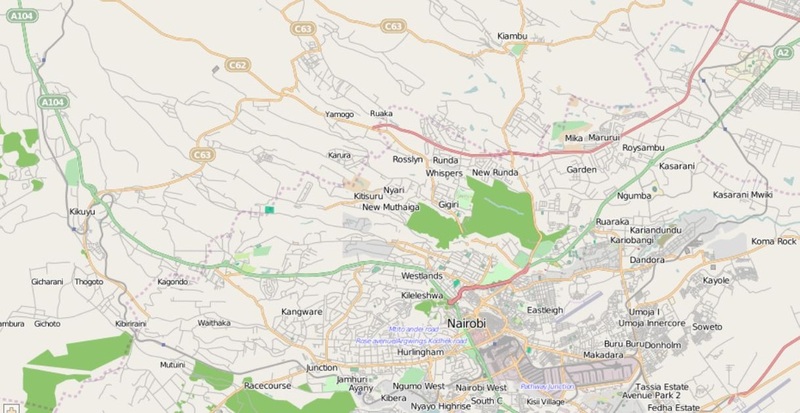 Nairobi, the capital of Kenya, Nairobi is currently the 13th largest city in Africa, based on population and Fourth Largest in infrastructure development and its size. South Kinangop is located in Central Kenya at an altitude of 8549'. The distance from South Kinangop to Nairobi is only about 40 miles, but the trip could take considerably more than a 1-hour drive, depending on current road conditions. Kikuyu Lodge - located just NE of the A104 road (left side of map), "home base" for Fred's Kenya mission trips. 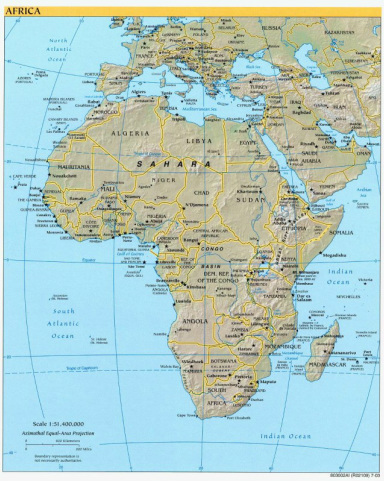 Westgate Mall/Westlands (located in the center of map) - Fred's favorite place to purchase supplies, etc., was also the location of the terrorist attack on September 21, 2013 by Somali al-Shabaab extremists who targeted westerners, killing at least 67 people.